Crispy Pork and Prawn Dumplings for Chinese New Year! The year of the Snake – and an auspicious number ie 2013! 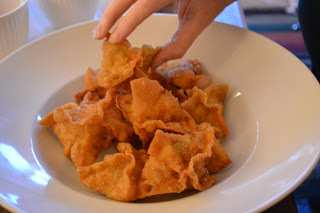 In honour of the start of this great year I urge to get your wok on and have ago at these addictive little gems – crispy Pork and Prawn dumplings, they are absolutely perfect for night nibbles of party finger food. Food blitzer set to ‘murder’…sling in all of the above except the oil and wonton wrapper…then blitz to a paste. 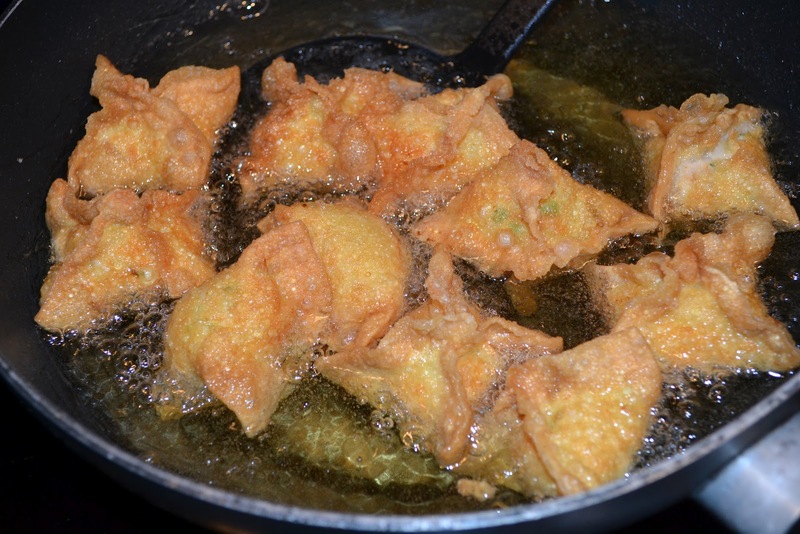 Now fry a little of the mix in a pan to check the seasoning, if you happy with it you can start creating the dumplings. Spoon a little of the mixture onto the centre of each wonton wrapper then wet the edges of the pastry and bring them together to form what will look like a little purse or alternatively just fold them over making a semi-circle. Now you are ready to shallow fry bring the oil up to heat (drop a piece of bread in and when it floats and sizzles you are ready to go. The Dumplings will only take a few minutes to do – fry, drain then serve immediately with a sweet chilli and garlic dip!